The Jadpanther (or Hunting Panther) was a German tank destroyer built on the chassis of the already successful Panther tank. It combined the powerful 88mm gun of the Tiger tank with the excellent armour and suspension of the Panther. 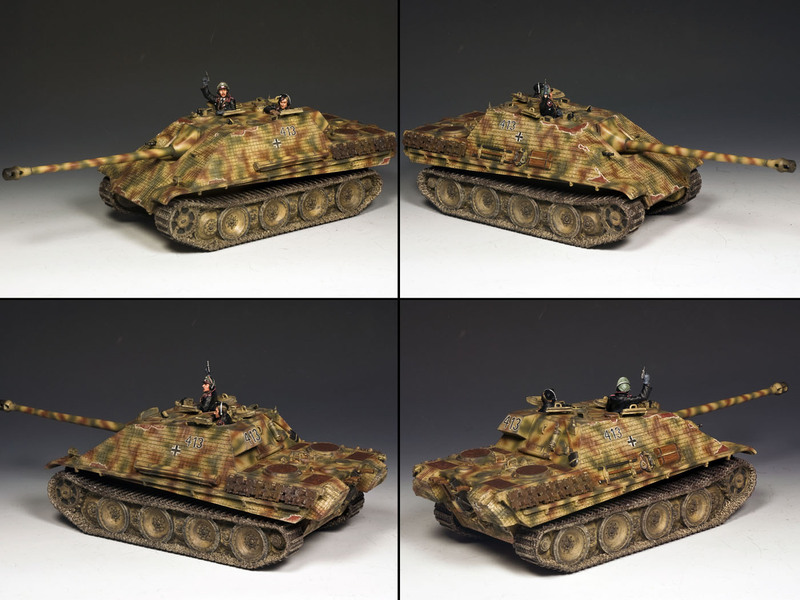 This Jagdpanther (K&C’s last version goes back to 2004) is a battle weary one from the late-war period covered in “zimmerit” paste that has been “chipped-away” in combat revealing the original rust-brown undercoat applied at the factory. Although most Jagdpanthers appeared on the Eastern Front they also fought in small numbers in the Battle of Normandy. 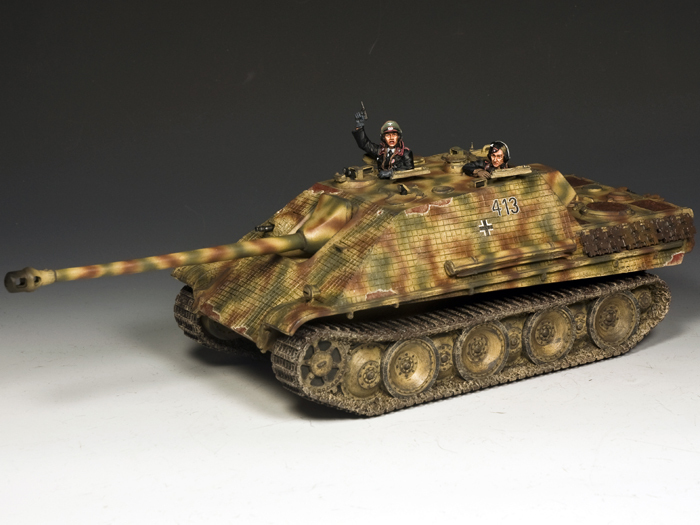 The K&C model comes with two tank-crew figures who can be seen in the open hatches.